The Puente Hills Landfill will cease dumping on Oct. 31, 2013. 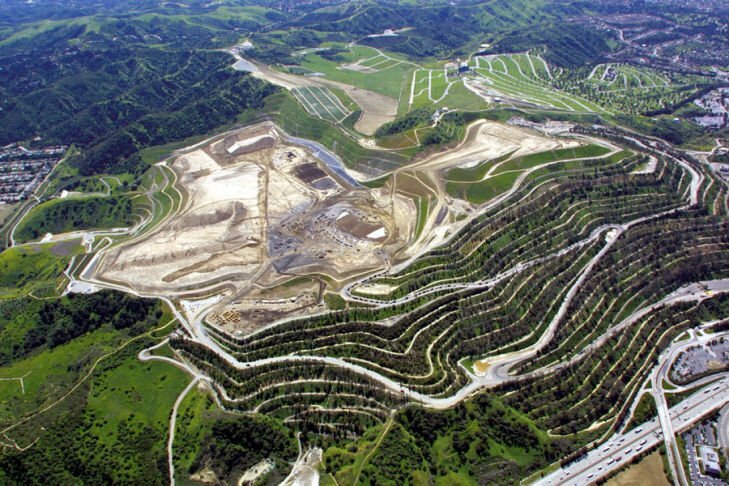 Puente Hills Landfill, the largest active landfill in the country, will close its doors. The permit for the site, which is near capacity, will expire after the close of business on Thursday. 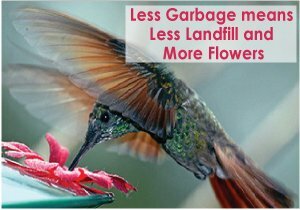 Californians, for the seventh year in a row, are throwing away less and less garbage in landfills. New statistics from the state Department of Resources Recycling and Recovery, also known as CalRecycle, shows that 29.3 million tons of trash were disposed statewide last year. That’s 4.3 pounds per day per person and a slight reduction from the 4.4 pounds per day per person in 2011 when 29.9 million tons were disposed. The population also increased from 37.4 million in 2011 to 37.7 million last year. Last year’s disposal decrease continues a downward trend started in 2005 when 42.5 million tons of waste were discarded, the state said. The vast majority of waste, 99%, went to California landfills and about 1% was exported to out-of-state landfills, CalRecycle said. FREMONT, Calif., April 4, 2013 /PRNewswire-USNewswire/ — Workers on strike at Republic Services/Allied Waste extended picket lines to five Northern California locations today, on the anniversary of the assassination of Martin Luther King Jr., who was killed in Memphis supporting striking waste workers. “Forty-five years later, this giant trash corporation – Republic – has been bullying its workers by locking them out of their jobs without pay, withholding paychecks, and demanding contract concessions even though it makes hundreds of millions in profits each year,” said Teamsters General Secretary-Treasurer Ken Hall. GRANADA HILLS, LOS ANGELES (KABC) — A lawsuit over the stench from a landfill near Granada Hills was filed by residents living near the Sunshine Canyon Landfill. They say their many complaints have not solved the problem. “We have been here since 1978. It’s a constant problem,” said local resident R.K. Chetty. A group of Granada Hills neighbors has filed a lawsuit against Sunshine Canyon Landfill, accusing the operator of allowing noxious trash odors to stink up the community. Landfill neighbors say an unbearable stench of decomposing trash and gas fumes is coming from the trash site, which takes in more than 9,000 tons of garbage a day. Residents are forced to keep their windows shut and forgo use of their lawns, according to the complaint, which was filed last week. They say they’re unable to entertain because of embarrassment over the odor, and the smell has caused their home values to plummet. Photo courtesy Republic Services Inc. Republic Services Inc. is undergoing a restructuring that’s expected to save millions of dollars each year. Organizational changes by Republic Services Inc. in both the field and at corporate headquarters are expected to save the company more than $20 million a year, but not impact management closest to the customers. The Phoenix-based solid waste management company consolidated its management structure at two higher levels, eliminating one of four regional offices and eight of 28 lower-area offices around the country. Wikimedia Commons Bill Gates’ Cascade Investment LLC now owns more than 24% of Republic Services outstanding stock. One of Republic Services Inc.’s biggest fans is also one of the world’s richest men. We’ve reported on Bill Gates’ Cascade Investment LLC buying up shares of RSG stock before. It’s been a pattern for years. Over the past week, Gates (through his Cascade investment arm) has purchased more than 2.7 million more shares and now owns 89.6 million shares of the Phoenix-based trash company. Those shares represent more than 24% of the company’s outstanding stock and they are worth about $2.45 billion. What’s the Microsoft co-founder’s attraction to Republic? What’s his end game? What does he see? I’ll leave that to the financial experts. All I know is that they better be running Windows on all of Republic’s computers.